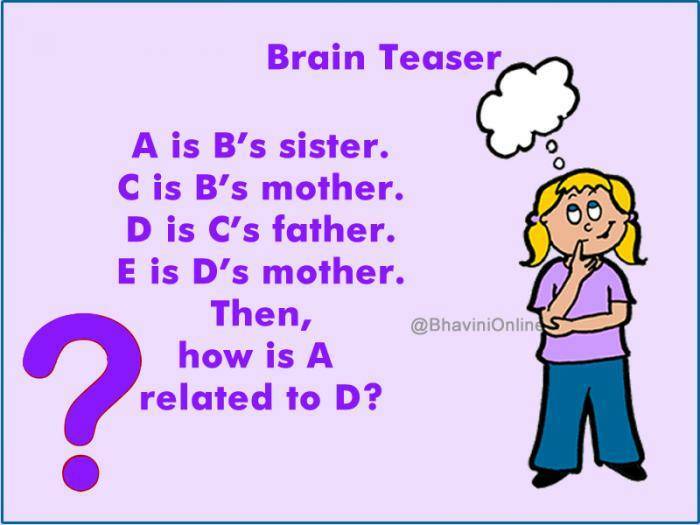 ... And it is also established that "C" is "B" mother (automatically under the assumption, she is also my mother). "D" here they say is "C" father that is to say "D" is my mother's father. .... Forget about "E" it's just there to confuse you. So therefore "A" is the grandson of "D" that's the relationship.